This loft ladder features slip resistant, wide treads and a handrail as standard. The 2 section ladder has a catch for added safety and additional handrails can be purchased separately. 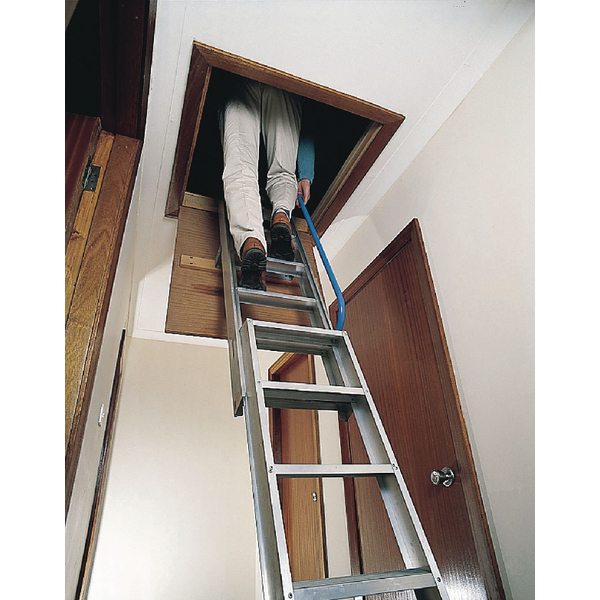 This ladder is suitable for loft openings with a minimum size of 736mm by 559mm.